Mixed martial arts promotion Rizin Fighting Federation hosted another stunning day of fights over the weekend. Now fight fans can check out highlights from the stunning event. Rizin 12 went down from within the Aichi Prefectural Gymnasium in Nagoya, Japan on Sunday, April 12. Headlining the day’s event, MMA legend Wanderlei Silva’s protege Luiz Gustavo put on a dominant performance over Yusuke Yachi. 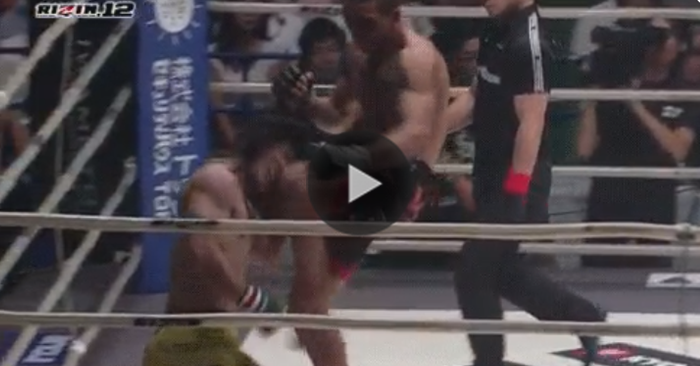 Of course, Rizin 12 was filled with stunning finishes outside of the day’s big main event. Check the out below.